By a News Reporter-Staff News Editor at VerticalNews Science -- DURHAM, N.C. - Physicians and patients who are wary of addiction to pain medication and opioids may soon have a healthier and more natural alternative. A Duke University study revealed that a derivative of DHA (docosahexaenoic acid), a main ingredient of over-the-counter fish oil supplements, can sooth and prevent neuropathic pain caused by injuries to the sensory system. The results appear online in the Annals of Neurology. The research focused on a compound called neuroprotectin D1=protectin D1 (NPD1=PD1), a bioactive lipid produced by cells in response to external stimuli. NPD1=PD1 is present in human white blood cells, and was first identified based on its ability to resolve abdominal and brain inflammation. "These compounds are derived from omega-3 fatty acids found in fish oil, but are 1,000 times more potent than their precursors in reducing inflammation," said Ru-Rong Ji, professor of anesthesiology and neurobiology at Duke University Medical Center and principal investigator of the study. The team used laboratory mouse models of nerve injuries to simulate pain symptoms commonly associated with post-surgical nerve trauma. They treated these animals with chemically-synthesized NPD1=PD1, either through local administration or injection, to investigate whether the lipid compound could relieve these symptoms. Their findings revealed that NPD1=PD1 not only alleviated the pain, but also reduced nerve swelling following the injuries. Its analgesic effect stems from the compound's ability to inhibit the production of cytokines and chemokines, which are small signaling molecules that attract inflammatory macrophages to the nerve cells. By preventing cytokine and chemokine production, the compound protected nerve cells from further damage. NPD1=PD1 also reduced neuron firing so the injured animals felt less pain. Ji believes that the new discovery has clinical potential. "Chronic pain resulting from major medical procedures such as amputation, chest and breast surgery is a serious problem," he said. Current treatment options for neuropathic pain include gabapentin and various opioids, which may lead to addiction and destruction of the sensory nerves. On the other hand, NPD1=PD1 can relieve neuropathic pain at very low doses and, more importantly, mice receiving the treatment did not show signs of physical dependence or enhanced tolerance toward the lipid compound. "We hope to test this compound in clinical trials," Ji said. The initial stages of the trial could involve DHA administration through diet and injection. "DHA is very inexpensive, and can be converted to NPD1 by an aspirin-triggered pathway," he said. 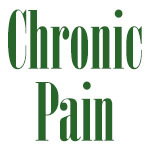 The ultimate goal is to develop a safer approach to managing chronic pain.